You are here: Home > Lisa Barrett wins! 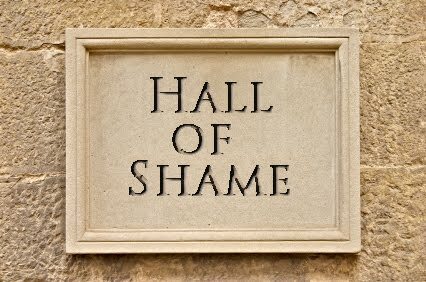 Lisa Barrett is hereby inducted into the Homebirth Hall of Shame. First runner up Hannah Dahlen and the Australian College of Midwives are still eligible for induction into the Homebirth Hall of Shame in the future. Their willful misrepresentation of the Australian coroner’s report is a masterpiece in the growing body of midwifery literature that attempts to subvert regulation of dangerous rogue practitioners. Pretending that requiring midwives to provide accurate information represents a limitation of maternal autonomy is a classic tactic that is sure to be emulated by homebirth midwives everywhere. Australian homebirth midwife Joy Johnston for her hideous comparison of a “traumatic” IV to 4 homebirth deaths. American homebirth advocate Rixa Freeze, PhD (in American studies) who criticized the coroner’s report without even reading it. My profound thanks to all four women. They’ve done more to discredit homebirth than I ever could. Keep up the good work, ladies. I’m counting on you!